Sister March kicked in Washington a day after of Inaugural event of new President Donald Trump. It is being reported many times in news reports that controversial statements of President Donald Trump have offended many people. This nationwide protest demonstrates the discontentment among people for policy position and comments of President Donald Trump about wide range of different groups. 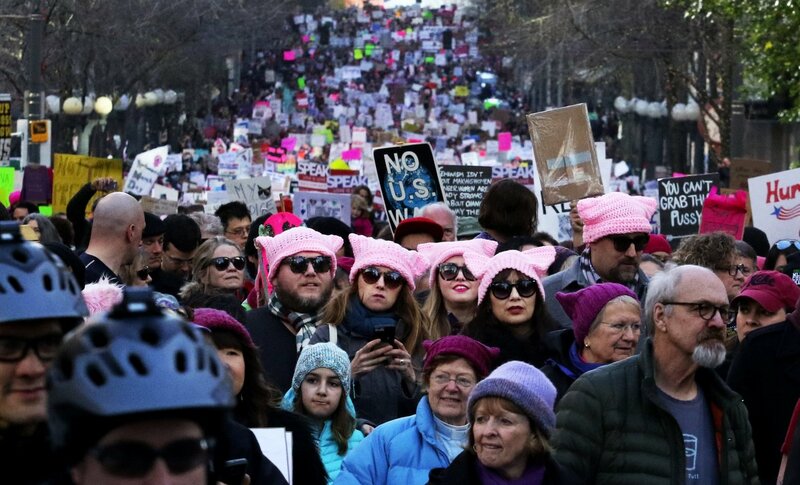 Hundreds of thousands of women along with their husbands, boyfriends and children filled the streets of different cities of United States of America. In solidarity with this, different groups marches in support of this sister march rally throughout the US, Europe and Asia. Jammed packed crowds are being witnessed on Washington, New York, Chicago, Boston, Los Angeles, Denver. Although, exact and official number of protesters are not shared by the authorities but it is easily can be observed that large masses are recording their protest against biased and discriminated policy and statements of President Donald Trump. Its kind of a challenge march to President Donald Trump. Whereas President Donald Trump didn’t pay any heed to this protest against him, while tweeting on Saturday eve, he had tweeted about his CIA Visit, thanked his nation for electing him their president and shared his gratitude but didn’t even tweet a word about this massive crowd protest.